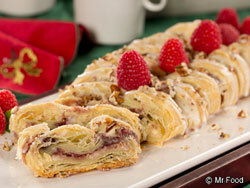 Ever wondered how you can make your homemade pastries look just like the ones they sell at the local bakery? 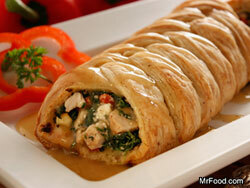 It's easy when you use frozen puff pastry dough! Check out how we transform our recipe for Raspberry Nut Cheese Danish into a pastry worthy of being served on a beautiful platter in our step-by-step photos below. You won't believe how easy it is! 1. 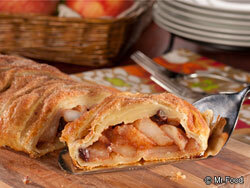 Once you've spread your mixture down the middle, cut slits in dough 1-inch apart lengthwise down each side of filling. 2. Crisscross strips over filling. 3. Continue crisscrossing all the way down. 4. 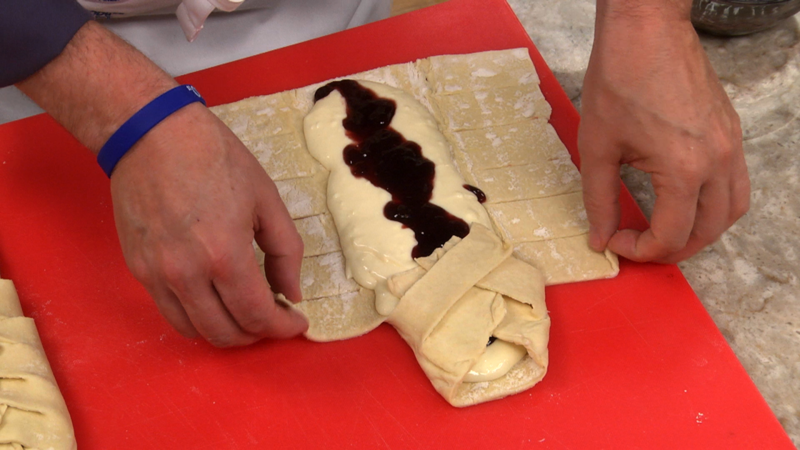 You have a beautiful pastry braid! Now that you know how to make an easy braid using puff pastry, why not try your hand at these braided puff pastry recipes?